Traveling is always one big adventure filled with surprises! Meeting new people, experiencing new cultures and eating foods -I would have never had the opportunity to try. Abalone was never on my radar, but when in Rome. Abalone is a sea snail that is usually attached to rocks in the ocean. Like conch, scallops and clams are all in the mollusk family. Abalone feeds off algae undaa the sea (a classic tune comes to mind)! I was fascinated that it was still moving in the pot!! Yes, moving!! While everyone at the table talked, I was busy watching the soup. I could not take my eyes off it. I was a tad nervous to try it because the texture looked less than appetizing. If the texture of my food weird, I can enjoy it. While the texture was not terrible, I did not like the taste. It was crunchy. Also, it was very juicy and it was salty. That was not what I had expected. I had expected it to be slimier. I would try it again because I think this restaurant didn't serve then fresh. 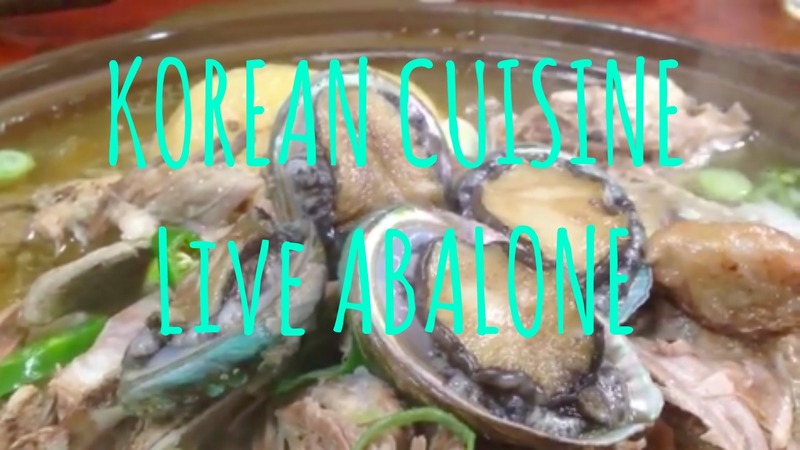 Have you tried Abalone before? How was it for you? Please leave your comments in the section below.